It is now a very popular thing for organizations to own a “Page” on Facebook. Users are now used to communicate directly with a Facebook Page and they expect a quick answer to their questions, 24/7. Hopefully, since April 2016, Facebook allows us to create messenger bots. Note that everything that follows can be found on Facebook’s documentation. Facebook will want to help you set up your app with “Quick start” steps. Just skip this. Take note of your App Secret. Under “Token Generation”, choose your Page to generate a Token. Take note of that Page Access Token. And keep this tab open. You will need it soon. Because Facebook’API needs an HTTPS callback, you won’t be able to test your app from localhost. One easy way to test your app is to use Heroku. 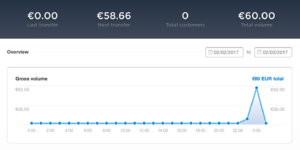 Create an account on Heroku. Now edit the config/production.json file with the App Secret and the Page Access Token you got from last step. Now, you get to choose your Validation Token. Take note of it, you will need it in a moment. The URL for your webhook is something like https://youroriginalnamehere.herokuapp.com/webhook. Enter your Validation Token and select message_deliveries, messages, messaging_optins, and messaging_postbacks under Subscription Fields. You can now subscribe your App to your Page. You can now try to chat with your brand new Facebook bot. By default, it will simply echo your message. In development mode, it will only be accessible to admins of the page and testers of the app. Enjoy! Last Sunday, I ran the Paris-Versailles. 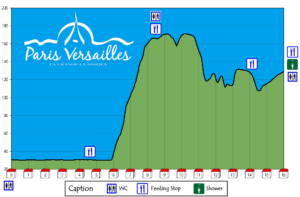 The Paris-Versailles is a 16km race. You start from Paris, in front of the Eiffel Tower and you arrive at the Palace of Versailles. It is known to be quite difficult especially because of the altitude difference between kilometers 6 and 8. Now, I am not a a very good runner. And I think I would not have managed to run through all this race without Spotify. 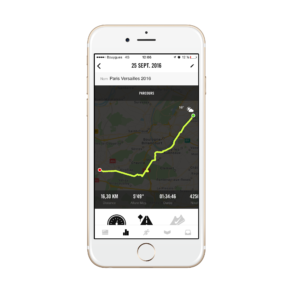 Spotify has a feature that helps you keep a constant pace when running. 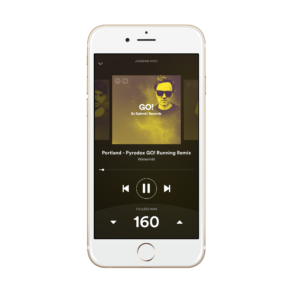 You set it to certain tempo, say 155 beats per minute, and the music will automatically adapt to match this tempo. Even the transitions between the tracks are smooth and respect the tempo. Now imagine yourself, running along the Seine river, the music beats in sync with every step you take. You breathe with your mouth, inhale every fourth beat, exhale during the next three. More than twice every second, each time your foot touches the ground, the bass resonates into your ear, and your body generates dopamine to reward you for being in sync with the music. Yes, that is how I ran the Paris-Versailles. I believe technology should allow us to reach our goals. It should help us socialize, meet other people instead of imprison us into Facebook and text messages. It should motivate us to go out and exercise instead of make us stay home, playing FIFA or Candy Crush. It should take us out of our comfort zone and make us grow, instead of turning us into some lazy piece pancake. I dream of a world where technology actually make us happier. Let’s make it happen. The other day, one friend texted me in panick because her computer could not connect to my school’s local network anymore. Until recently, when we set up a DHCP server for them, my school relied on manual IP addresses (with hardware filtering). But in some specific places in the campus, we still use manual IP addresses, without any filtering. And sometimes, like in the present case, people steal each other’s IP. Well, it’s not really stealing. People just don’t know which IP is in use. My first guess was to use Wireshark, in order to listen to the packets that were going to and from this IP, and identify the corresponding hardware address. But there is in an easier way to get information about the computer using an IP address. The option -O performs a OS-detection. And if your target is on the same network as you, then nmap will tell you its network address. Getting work done is difficult. I am a geek with computer skills, and I am no exception: I am lazy as f*. If you want to be a good programmer, you need to think lazy: what is the best way to create the maximum value with minimum effort? And this is where my productivity journey started. Everyday I wake up with this question in my mind: how do I make best usage of this beautiful day? Now, I am giving you my three simplest tips to get you started on this amazing journey. Three tips that you can try starting TODAY. As a disclaimer, those tips work for me. Adapt them so they suit you. I owe this trick to David Allen’s book Getting Things Done. During your usual day, you will get tons of inputs: emails, text messages, Facebook messages, phone calls, a talk in the corridor or just random thoughts. Obviously, you should collect all this data into one place. But when this input requires a task and that task can be done in less than 2 minutes, then just do it now! Let me emphasize: if it can be done in less than 2 minutes, do it now. When it takes more time and energy to store it than to get it done, only a fool would not do it! In the same manner as preparation is the key to success, planning is the key to getting things done. To all the people who do not plan their day, please try this: Plan you day! To all the people who plan their day in the morning, please try this: Plan you day just the day before, plan you week just before it starts. In the evening, just before you go to sleep, your mind is not ready to do anything but can be in anticipation of what comes next. In the morning, you should not lose time deciding what to do: you should take the first item of your to-do list and just do it. When you have work to do, split it in smaller tasks as much as possible. Then timebox yourself on each of these tasks. Start a timer and get to work. And the end of the timebox, switch to another task. Humans tend to easily lose focus. I personally know that if a task takes me more than 40 minutes, I won’t be 100% concentrated. Try this: give yourself 40 minutes for a task and try to be as focused as possible. Mute any devices that might disturb you. At the end, take a break and relax. Give a quick look to emails and messages for any urgent stuff. Then repeat. You should also allocate a 40-minutes slot for email-handling. This tip also applies in a more macro scale: everyday, after lunch, I go for a 20-minutes power-nap. This breaks my day in half and allows me to feel far more relaxed and focused in the afternoon. Those are just three productivity habits that you can apply right now to start getting things done. You should apply them everyday during one month to build them into habits. Good luck for your productivity journey!